The Lamigo Monkeys started their 2018 Taiwan Series campaign with some hot bats. 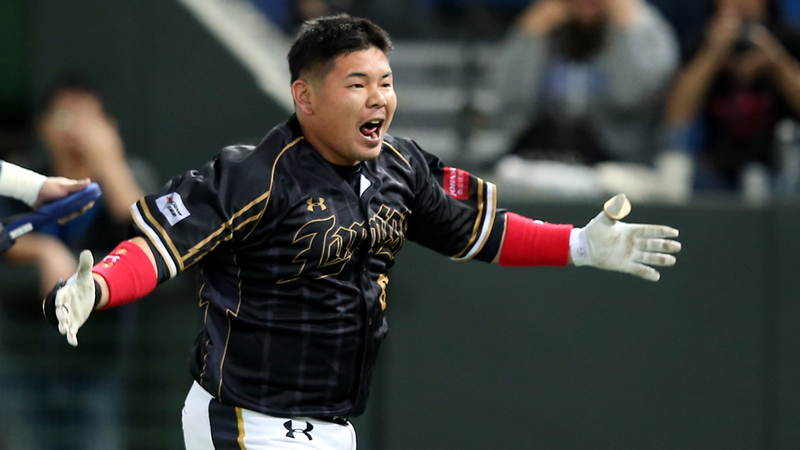 With four home runs, the Monkeys defeated the Uni-Lions 15-6 in Game One of the Taiwan Series, and take a 2-0 lead in the best-of-seven Taiwan Series. *Note: The Monkeys coming into the 2018 Taiwan Series with a one-game advantage after winning both the first and second half season title. “Our offence was able to piggyback on Liu Shih-Hao’s grand slam in the bottom of the second inning,” said Monkeys’ manager Hong I-Chung. The Uni-Lions jumped on board early with a 1-0 lead in the second inning with Su Chih-Chieh’s leadoff double, followed by an error by the Monkeys’ third baseman. However, it was fire on all cylinders for the Monkeys at the bottom of the second inning. The Monkeys almost hit through their order twice with a total of 16 hitters batted that inning. With a total of ten hits, three walks, including 劉時豪 (Liu Shih-Hao)’s Grandslam and 藍寅倫 (Lan Yin-Lun)’s solo shot, the Monkeys blew the game wide open by scoring ten runs and knocked out the Uni-Lions’ starting pitcher Ryan Verdugo in just 1.1 innings. The Monkeys did not stop there, in the bottom of the third, the Monkeys scored another three runs to make it a comfortable 13-1 lead with home runs by Wang Po-Jung and Lin Hung-Yu. The team went on and added another two runs in the fourth and the seventh inning. The Uni-Lions put up some rallies by scoring two in the top of the fifth and another two runs in the ninth. However, it was too late to turn the game around dropping Game One of the Taiwan Series 15-6. Monkeys’ Closer Goes On Disabled List After G1? It is also worth noting, the Monkeys’ closer Chen Yu-Hsun was hit in the head by a comebacker and exit the game early in the top of the ninth. With Chen being the league most reliable closer, losing him in Game One of the Taiwan Series may prove to be costly for the Monkeys. Here are some collections of the fun moments and nice plays from Game Two. Instead of doing a proper write up, it is easier and faster for me to dump everything in this section. So, enjoy!